For minor burns, immediately run cool water on the burn for several minutes and dry. For cuts, scrapes and chafing, first cleanse the area with mild soap, rinse and dry. Then apply a thin layer of Calendula Cream to affected area 3 times a day or as needed. 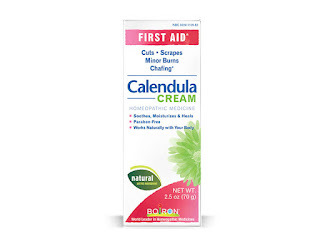 I was very happy about getting to try this First Aid Calendula Cream by Boiron. I like that this is a natural cream that soothes, moisturizes and works with my body naturally for cuts, scrapes, chafing, minor burns and sunburn. I have very fair sensitive skin so especially during the summer months, even though I use sunscreen I tend to get a minor sunburn and this cream works great for soothing and moisturizing my burn. 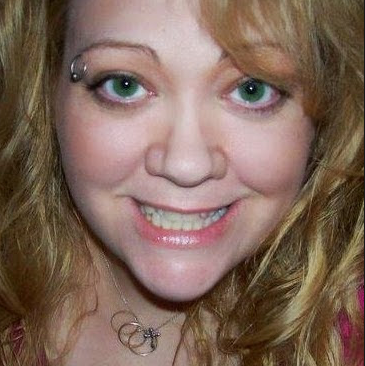 I also spend a lot of time doing yard work and gardening so I get cuts and scrapes from time to time. I use the Calendula Cream a few times a day and it works very well. I have even used it on mosquito bites and the cream has made the bites less itchy. I like that I can also use it on our little girls and it absorbs easily into the skin.